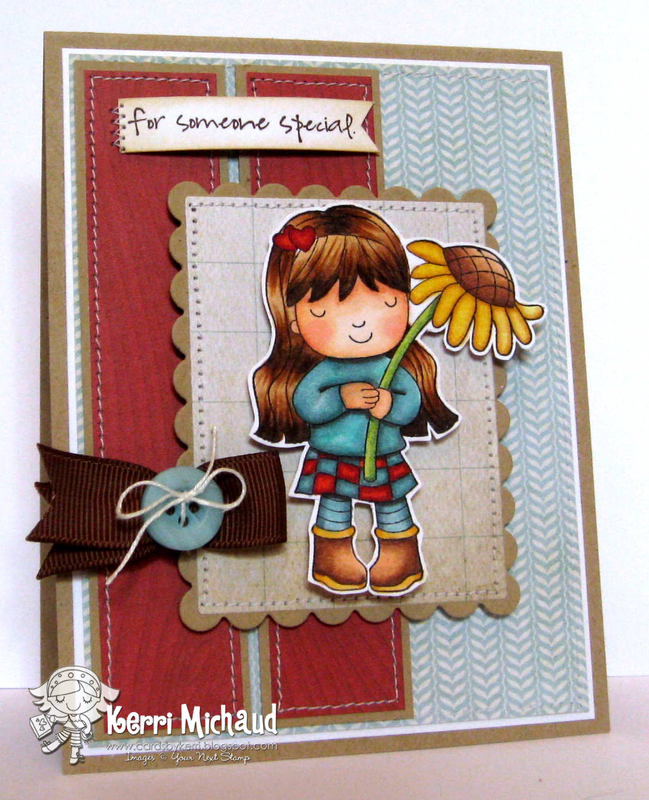 I used this adorable Your Next Stamp image called Ellie Loves Sunflowers. The paper is a combo of My Mind's Eye~The Sweetest Thing Bluebell and Winter Wonderland dp. The layout is The Deconstructed Sketch #71. We hope you'll play along with us this week! 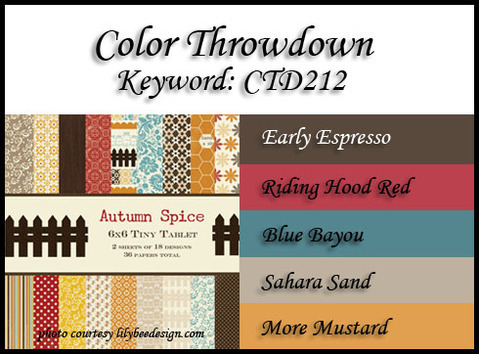 Just link your creations to the Color Throwdown Blog HERE, and while you're there make sure you check out the rest of the amazing DT projects! eek! Kerri, she's so stinkin' cute! You've coloured her beautifully!!!! So sweet! OMG!! 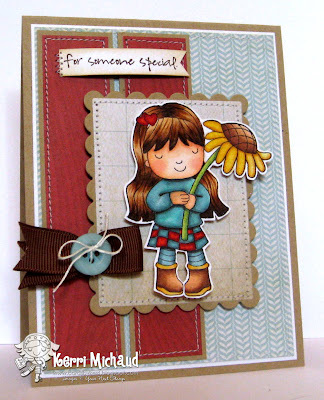 Your coloring is absolutely FABULOUS, Kerri...I just love this gorgeous card!!!! Awww...so adorable and as always...your coloring totally rocks! Love this! This little doll is so darn cute and you've used this week's colors perfectly! This is the sweetest card Kerri! I'm a sucker for sunflowers (I think I need this stamp). I love your coloring and your ribbon button treatment! This is adorable, Kerri! Love how you colored her.